Meet OUG! Tallahassee Rescue Dog, Ralphie! Meet Ralphie, a handsome devil and super sweet rescue dog from Last Hope Rescue in Tallahassee. Ralphie won the dog lottery and is now part of a wonderful, loving family! He is one of our all-time favorites—sweet and laid back but loves a good romp with his water bottle butterfly toy! He also specializes in couch-snoozing and cuddling. Visiting Ralphie is truly a pleasure! OUG! helps homeless pets like Ralphie every day by giving HUGs. HUGs, short for Home-U-Go!, is our way of supporting the humans of rescues and shelters finding forever homes for pups and kitties in need. This entry was posted in Help the Homeless, Tallahassee Tails and tagged animal shelter, homeless dogs, Last Hope Rescue, pet care, rescue, shelter, Tallahassee, Tallahassee pets on December 17, 2013 by Laura Rumage. Out-U-Go! 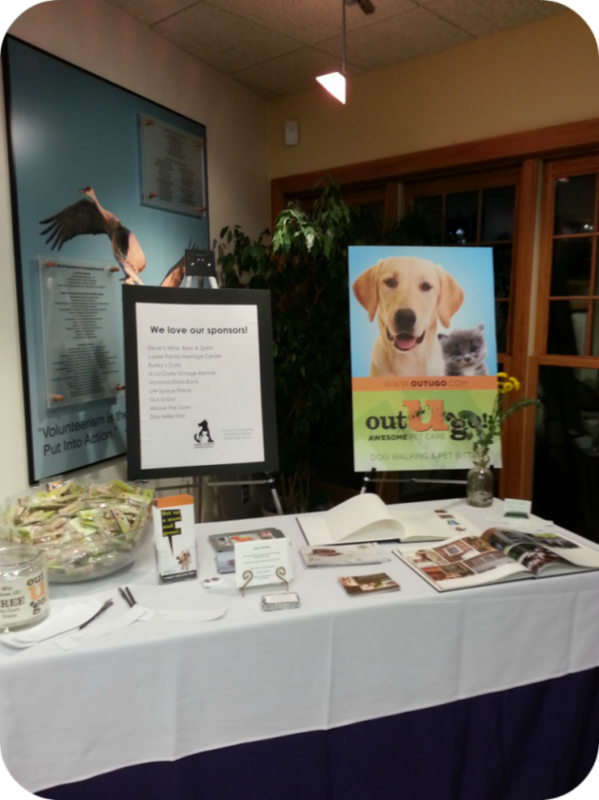 Madison Pet Care joined the Dane County Humane Society in a night filled with wine tasting, art for sale, and live bluegrass music. The Unleashed & Uncorked pet fundraiser event took place on Friday, September 27, 2013, and all proceeds raised (totaling $15,000!!!) went to Dane County Humane Society for its programs and services helping shelter pets in need! This entry was posted in Madison Mutts and tagged animal shelter, Dane County Humane Society, fundraiser, Madison, pet events, shelter on October 21, 2013 by Laura Rumage. 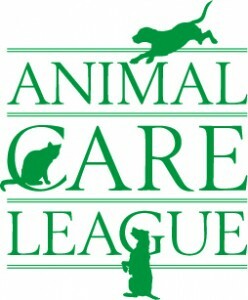 The Oak Park community is so fortunate to have the Animal Care League. To keep this fabulous organization up and running the ACL holds an annual luncheon. This year it will be held at the beautiful Oak Park Country Club, 2001 North Thatcher Avenue in River Grove. Entertainment will be provided by the Festival Theatre of Oak Park. Adoptable ACL cats and dogs, a silent and live auction, gift bags, and of course the sumptuous buffet will all be going on! 100% of all monies collected for the luncheon directly benefit the ACL. If you would like to buy some 50/50 raffle tickets, purchase a ticket to the luncheon, or donate an auction item, please contact the ACL at 708-848-8155. On an Out-U-Go! note, Maverick, Oak Park’s Top Dog Dog was adopted from the ACL on April 16, 2008. 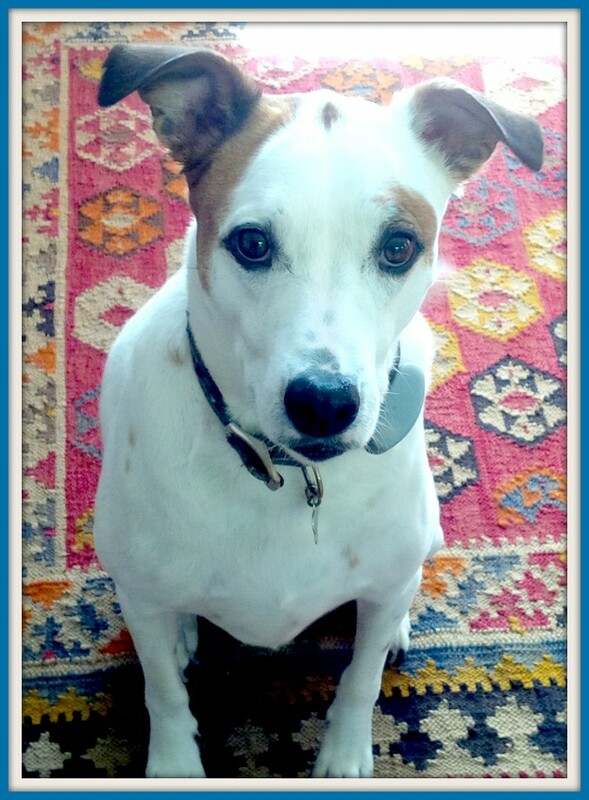 Sara, Oak Park’s Top Dog, is so grateful to the ACL for bringing The Mav into her life. 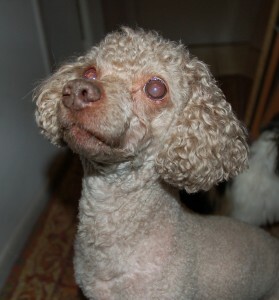 This entry was posted in Oak Park Pupdate and tagged animal shelter, Oak Park on April 20, 2011 by admin.